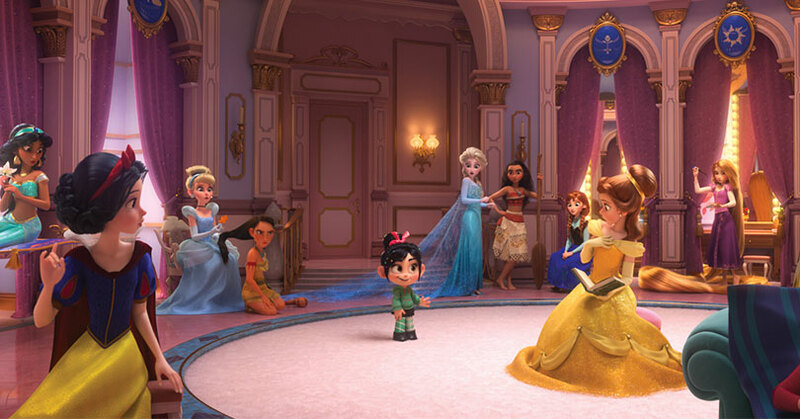 Although we gave Ralph Breaks the Internet a favorable score last time, upon our second viewing our thoughts about the film have changed a little bit. The biggest issue comes from the story itself. The story itself makes both characters totally unlikeable. Unlike the first film where Ralph and Vanellope has a few relatable characteristics, they’re stripped away here. Not to mention, Fix-It Felix and Calhoun are warming the bench this time around. It’s very reminiscent of the issues that plagued Cars 2. In the sequel, you take the most popular characters and entirely put the focus on them. Unfortunately, this highlights just how annoying they are without the supporting characters around them. On top of all that, the film also introduces characters that are neither interesting or memorable. So they essentially took away some fan-favorite characters and shoehorned in these new characters instead. It’s the same thing with our heroes’ journey through the Internet as well. 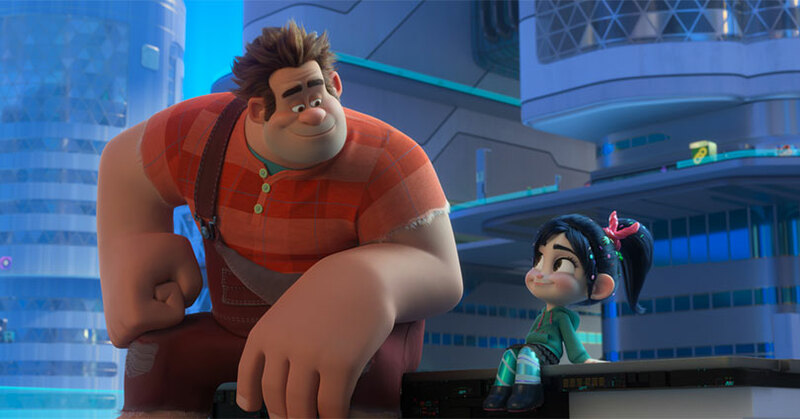 Unlike Wreck-It Ralph, Ralph Breaks the Internet doesn’t include a lot of fun references. Let’s be honest, if you’re here then chances are that you surf the web a lot. Thus, seeing references like Amazon or Google seems more like cheap plugs than actual fun references. Still, the film does have a lot of fun with the visual concept of the Internet. It’s like Tron but funnier and about the Internet. A lot of these gags and “viral videos” are hilarious and a lot of imagination went into the idea of us as avatars interacting with the web. But what makes the film so entertaining is because of the hilarious work done by John C. Reilly. When you watch all of the “viral videos,” you can hear how much fun Reilly is having. Him having fun translates to us having fun. You can say the same thing about Sarah Silverman too. If you’ve ever heard her sing “A Place Called Slaughter Race,” you know what I’m talking about. Overall, Ralph Breaks the Internet doesn’t quite live up to the original film. The film puts them in such an unlikeable light that it’s hard to root for them. Also, their journey through the Internet isn’t as fun as you might think. Regardless, the film is still an outrageously entertaining film that still has a little heart to it. 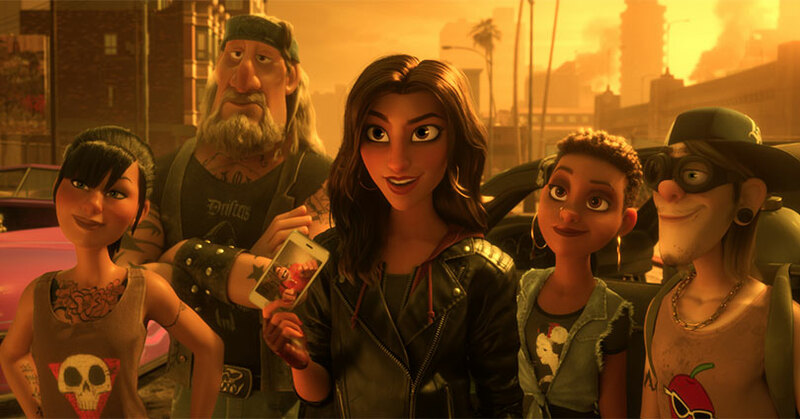 Ralph Breaks the Internet hits Blu-ray with a 1080p MPEG-AVC with a 2.39:1 aspect ratio. As it is with most animated films, the video looks spectacular. The video contrast looks even throughout. The brightness is high, but you won’t find any bloom in these bright areas. At the same time, the high brightness level does brighten up the picture quite a bit. You can really see it in the film’s lighting. Lights reflect off the surface to give the world a nice shine to them. Fortunately, the black levels are still a deep obsidian black. Since this is an animated film, there isn’t any crush in the shadow details. Also, the brightness seems to brighten up the broad color palette. As a result, color saturation is bold and intense. All of the colors seem to jump from the screen. When it comes to animation, it’s necessary to have a clear picture. Thankfully, the picture is so clear that you can easily see the film’s tiniest details. Overall, this is a great video transfer. Ralph Breaks the Internet hits Blu-ray with a 7.1 DTS-HD Master Audio track. The audio mix is very immersive… But only when it wants to be. That’s because atmospherics are really limited. The mix doesn’t envelope you unless a scene calls for it. Most of the time, the atmospherics come from Henry Jackman’s score. Thankfully, the score is layered in this mix. You can distinctly hear the different instruments in the score come through your sound system. Be that as it may, when the mix immerses you then you’re surrounded by sound effects. The sound effects dynamically and accurately pan through the sound stage. It spreads across the sound stage and, at times, envelopes the entire sound stage too. Despite all of the craziness, you can still hear the dialogue come through your sound system. Overall, this is a good mix. “Surfing for Easter eggs provides so many obscurely hidden Easter eggs that it’s amazing if anyone really notices it the without consulting this video first. “The Music of Ralph Breaks the Internet” perfectly breaks down the different musical elements of the film. For the score, Henry Jackman talks about scoring the “Internet.” Then the featurette goes briefly in-depth about the making of “A Place Called Slaughter Race.” The featurette also talks about the genesis of Julia Michaels’ “In This Place” and Imagine Dragons’ “Zero.” Just like looking at random cat videos on YouTube, “BuzzzTube Cats” is a perfect and hilarious time waster. Every video in this piece is pure gold. “How We Broke The Internet” is a fantastic and in-depth behind-the-scenes look at the making of the film. As you watch the featurette, you can begin to understand the mindset behind the creation of all the elements in the film. However, some of the features are really short or end abruptly. “Deleted Scenes” have one or two gems in there. But overall, it doesn’t have much impact on the overall story. 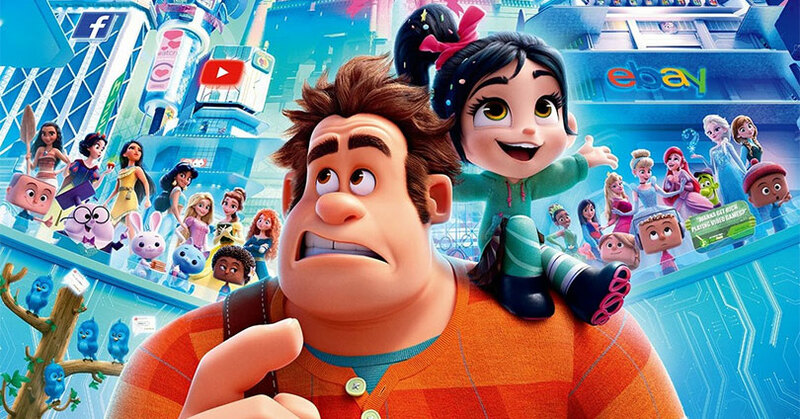 Overall, Ralph Breaks the Internet is an entertaining and hilarious romp through the Internet. Unfortunately, the film has a number of issues which ultimately resulted in a disappointing sequel. The video transfer and audio mix are spectacular. Also, the special features have a great mixture of fun and in-depth featurettes. The post Ralph Breaks the Internet – Blu-ray Review appeared first on Nerd Reactor.